Internationally revered Iranian filmmaker Abbas Kiarostami has created some of the most inventive and transcendent cinema (Ref. Taste of Cherry) of the past thirty years, and Close-up is his most radical, brilliant work. 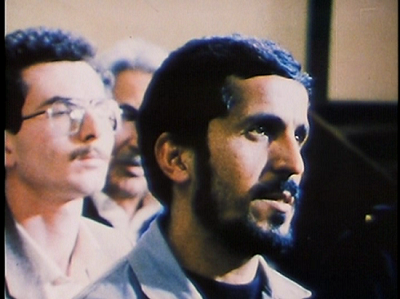 This fiction-documentary hybrid uses a sensational real-life event—the arrest of a young man on charges that he fraudulently impersonated the well-known filmmaker Mohsen Makhmalbaf—as the basis for a stunning, multilayered investigation into movies, identity, artistic creation, and existence, in which the real people from the case play themselves. 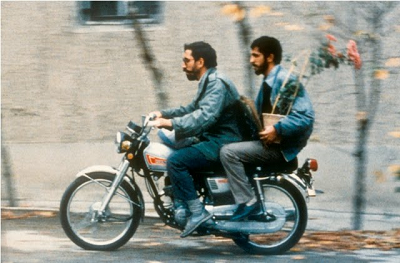 Rather than simply recounting this strange story, Kiarostami made a daring, collage-like film that blends reenactments featuring the main players as themselves, footage from Sabzian’s actual trial, and moving scenes in which Sabzian meets Makhmalbaf for the first time. It’s a hall-of-mirrors work that’s as emotional as it is intellectually engaging, and it exemplifies the great Kiarostami’s bottomless curiosity about the human condition and the strange magic of cinema. In the autumn of 1989, Kiarostami was preparing to shoot a new film, again for Kanun, about the pocket money given to children every week by their parents. However, just a few days before the date that had been set to begin shooting, the director came across an article in the weekly magazine Sorush, about the strange case of a man who had impersonated with dubious motives, another director, Mohsen Makhmalbaf (famous for movies such as ‘A moment of Innocence, “The Cyclist, ‘The Peddler’) , and who had been unmasked before he could commit his (supposed) fraud. Kiarostami was literally fascinated by the case, and decided to investigate it as the possible subject for a film. After talking to Makhmalbaf, who agreed to work with Kiarostami on the project, both film-makers went to the prison at Ghasr to have a preliminary interview with the impostor; afterwards they went to see the Ahankhah family, also to negotiate their participation in the film. In the light of their recent experiences, it is not surprising that the family now suspected a swindle by a ‘fake Kiarostami’, and demanded to see both men’s credentials before allowing them into the house…. 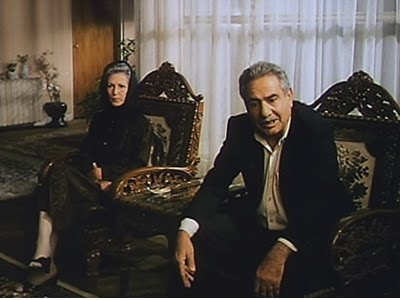 While the impostor, Hossein Sabzian, was for various reasons delighted with the idea of a film about the case, the Ahankhah family took much more convincing; their gullibility had been exposed and they did not relish the idea of the affair’s becoming more widely known. However, Kiarostami managed to persuade all parties and even succeeded in obtaining permission from the judicial authorities to film the trial. The well-disposed judge in charge of the case turned out to be a great cinema fan, who particularly like Makhmalbaf’s films; he agreed to the proposal after consulting his superiors and even saw fit to delay the start of the hearing by a few days, so that all the relevant parties could be present to make the film crew’s work easier. 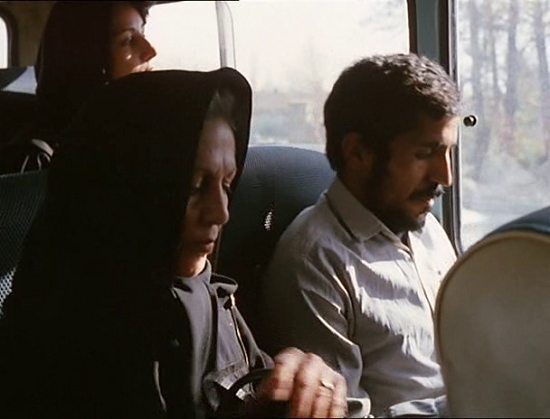 In the case of this film , Kiarostami did not even know for certain (and this time there was no irony involved) whether the rushed images he was shooting could eventually be used to hammer out a film. For five weeks, Kiarostami improvised as he went along, slowly constructing the film, Close-Up, from that tremendous (although somewhat random first day’s shooting. ‘This is a film that made itself,’ the director later declared, ‘which came about completely naturally […] I shot the film during the day and made notes at night. There wasn’t much time to think, and when it was finished, I watched the film like any other spectator, because it was new even to me. I think it’s something completely different from anything I’ve done before’. Quite so. 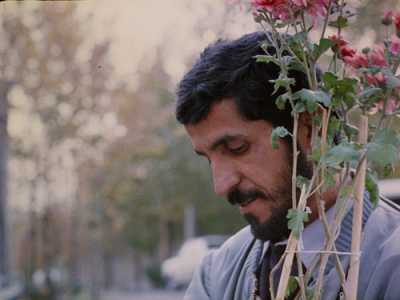 ‘Close-Up is undoubtedly a different proposition altogether from the rest of Kiarostami’s films. It has no links or particular relationship with any of his other works, somewhat like a star, which, in the midst of a crowded constellation, shines with its own bright light’. Marco Della Grassa’s enthusiastic appraisal, shared by many critics and specialists in Kiarostami’s work, needs a little clarification vis-à-vis placing the film in the context of Kiarostami’s work, but of course it properly and appropriately highlights the singularity of Close-Up, and helps to explain why it has always been a favorite of the director’s. However, this preference can be understood in its proper terms only by appreciating the deep-seated reasons for Kiarostami’s fascination with the ‘Sabzian case’ and the close, though difficult relationship he came to establish with the protagonist. 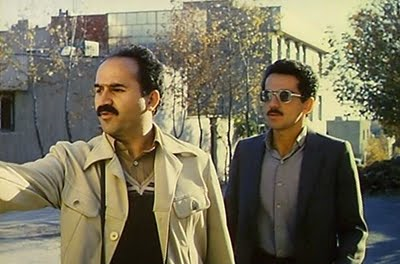 When Kiarostami met him in the Ghasr prison in Tehran, Hossein Sabzian was an unemployed print worker, about 35, a member of the large Turkish speaking minority in Iran (just over a fifth of the population), who had got divorced some years previously and maintained little contact with his very young son. A great film fan, he particularly admired the work of Mohsen Makhmalbaf, a director from a working-class background like himself who during his career had already become known for his unconditional support for the mostazafin (dispossessed, oppressed people).This explains why, when, owing to a chance meeting—the encounter with Mrs Ahankhah on a bus when she was reading the script of one of the director’s most popular films, The Cyclist (Baysikelran,1989)—Sabzian started to pass himself off as Makhmalbaf. He had no kind of preconceived plan, and was not letting himself be carried away by the conventional glamour of cinema as such, but by a kind of profound identification with the director. ‘Tell him that his last film is my own life’ was the message he asked Kiarostami to convey to Makhmalbaf, as an expression of his admiration and a vague justification for his behaviour. 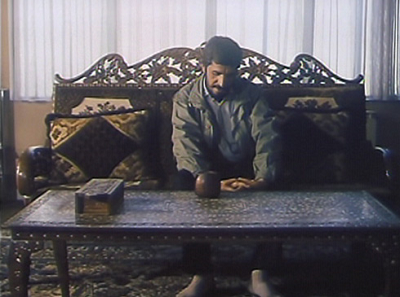 Once he felt at home in the character of Makhmalbaf, respected by each and every one of the Ahankhahs—a comfortably well-off family who nevertheless had their own problems at this difficult time—Sabzian decided to continue the game, promising to shoot part of his next film, supposedly entitled The House of the Spider (Khane-ye ankabut) with their cooperation and in their home. During Sabzian’s relationship with the Anankhah family, before his impersonation was discovered, he once borrowed 1,900 toman from them to take a taxi and buy a small present for his son: this would constitute the main charge against him, as an unmistakable indication of his intention to swindle the trusting family. Sabzian never for a moment denied the facts themselves, but he did reject the interpretation they were given. He never questioned his guilt according to the current law, but skillfully deflected the legal issue onto moral ground. Seemingly ashamed and repentant, he claimed that, although his behaviour might have given grounds—technically—to suspect a fraud, he never had such an intention and he was ‘guilty’ only of failing to repay the loan. The phony Makhmalbaf notices a change in the family's behavior. Sabzian was thus possessed, like so many other Kiarostami characters, by an overwhelming desire, the passion for cinema in his case, which led him to transgress against the rules of society. A complete film buff, it was Sabzian himself who moreover drew the specific comparison between himself and the protagonist of The Traveller during the trial: ‘In a way, I am like the boy in the film, who pretends to take photographs to get the money he needs to go to Tehran and see the match. Then he falls asleep and misses it all, which is what i think has happened to me. From the legal point of view, I know that my behaviour can’t be justified, but I also think that my love for art should be taken into account.’ with this speech, Sabzian fully deserves the right to a prominent place in the ‘hall of fame’ of Kiarostami characters, according to Marco Della Nave: ‘He is, indeed, none other than a grown-up Ghassem, still not cured-for there is no remedy for this sort of disease—of his uncontrollable raptus of desire. To want to be someone else—a feeling that the film-maker confesses to knowing well, which undoubtedly justified speaking of the autobiographical elements in the film-has little or nothing to do with playing a game, in this context. Sabzian is a weak and pathetic character who tries to escape the frustrations of his life by making an unusual bid for integration into a society that excludes him. That is why his question (his plea, really) to Kiarostami when the director visits him in prison is simply: ‘Could you make a film about my suffering?’ That is why it is completely incomprehensible to describe the film, unless from lack of knowledge or frivolity, as ‘the comic tale of an impostor who just wants to be a film director’. Sabzian is above all a person who is suffering, to whom at a particular moment the cinema offers a temporary escape. Moreover, Sabzian’s exposure and arrest intensified his feelings of frustration. Kiarostami maintains that his interest in the case was aroused above all by by Sabzian’s words reported in the Sorush article: ‘Now I’m just a piece of meat and you can do whatever you like with me.’ Close-Up was therefore inspired by its director’s explicit interest in this character, which went beyond any feelings of identification to include compassion. A great deal of the implicit comedy here comes from the way "cinema" changes and inflects the value and nature of everything taking place - the original scam, the trial, the documentary Kiarostami is making, and so on. Abbas Kiarostami dissolves the borders between reality and fantasy in this masterpiece.